The work was located in the Hemi Matenga Memorial Park Scenic Reserve, Waikanae. water pump station was susceptible to flooding and only had one serviceable pump. All contract work was completed in accordance with CCL’s Quality Management system. Construction Contracts have progressively developed Company procedures to meet the requirements of TQS1 - 2005. A Contract Quality Plan (CQP) was developed together with a Quality Control (Inspection and Test) Plan. The QCP was used to control the work and verify compliance with the contract quality requirements. It indicated the frequency, timing, type of both inspection and/or tests performed on materials and at certain stages of construction. CCL management and skilled team members all take a proactive ‘hands on’ approach in dealing with quality issues. Any enquiries or problems whether from the consultant, a member of the public or whomever are dealt with personally and as immediately as practicable. We maintain a record of all enquiries received and any action taken to resolve, if required. Limits to the width of access tracks (which in turn limited the size of plant and affected the methodology and programme). The bare minimum of vegetation was removed to comply with this condition. Canopy trees had to be removed by an approved arborist with organic humus from the forest floor gathered, saved and reused. Discovery Protocol. The Eco Site is of significance to local iwi. We understood that any items of cultural significance were to be protected and reported. Even though we didn’t find any kiwi, waahi tapu or taonga, the importance of this condition was emphasized to staff and subcontractors. Protection of Eco Site root systems. We took care to park vehicles and machinery away from canopy tree root systems. The location of stockpiles was also agreed to protect Eco Site root systems. While the Eco Site conditions were strict, we were able to work within them and successfully complete the contract. All conditions of the Kapiti District Council resource consent were strictly complied with and a completion report filed at the completion of works. As part of the tendering process we visited the site to assess site specific hazards to develop our site specific Health and Safety Plan. After acceptance of tender, a plan was prepared and approved by the Consultant. Throughout the construction we conducted daily Toolbox meetings, weekly site safety audits and reviewed and updated the hazard list. Any changes and improvements made to the plan were communicated through daily Toolbox meetings to both staff and subcontractors. There were no health and safety issues, accidents or near misses. Approval of our site specific documentation was obtained from the consultants. All work was performed under the CQP prepared for the project. A programme of site visits and inspections was agreed with the consultants. The only issue was a leak in the Reservoir which was addressed by Timbertanks with our assistance. With a variety of programmed operations and resource consent conditions, good management of resources was essential. This required cooperation and coordination from our project manager, team leaders, staff and sub contractors. We found that good communication was crucial and regular onsite toolbox meetings assisted planning and programming of the works. A construction programme was prepared and maintained during the course of the contract. The construction period was 18 weeks. We had to take into account the “Eco Site” consent conditions on the methodology and build them into the programme. The contract was completed on time. The contract was completed within budget, all parties satisfied. Variations included a separated inlet outlet pipework into the Reservoir. This involved the installation of a separate outlet pipe, Check valve and manhole. There were a number of other additional items included in the construction works. We maintained tight financial controls by coding all material and labour costs against projects/activities on a weekly basis using MS Excel spreadsheets. They are summarised on a monthly basis. Where significant variations to tender submissions are identified they are scrutinised to ensure they have been attributed correctly and/or the cause for the variation identified. Where trends signify a potential future negative variation these are signaled to the client in advance to allow appropriate remedial action to be taken; scoping to be changed; or contingency funding, if appropriate, to be considered. The work was within the Hemi Matenga Memorial Park Scenic Reserve, this is an environmentally sensitive area on DOC land. The terrain was moderate, undulating, and tight. All work had limited access. We did our best to always maintain local access to walking tracks. The site was located in a sensitive “Eco Site” and of importance to local iwi. This job had stringent environmental requirements and we had to develop good practical measures to meet resource consent conditions. We took particular care while working so that our activities did not create a pollution hazard. All plant and equipment was regularly cleaned and checked for leaks. Silt protection was used throughout the project and closely monitored by Kapiti Coast District council. We were aware that working within a special environment like the Hemi Matenga Reserve required some good common sense and behavior. All staff and subcontractors were briefed about working in a special environment. Our environmental management plan was on site and implemented at all times and every step was taken to minimize the environmental impact from the work. Weather was generally good though there were times when it rained on site. Disruption was minimized by the use of well maintained tracks. A geotechnical report was available and showed the ground conditions throughout the site were clays and soils. Care had to be taken not to disturb the ground when wet conditions were present. We successfully partnered with KCDC and consultants MWH for this project. CCL takes pride in its ability to work with consultants and principals, where all parties have a responsibility to ensure the end result is of the highest quality. We at CCL believe we have partnering values that recognise the importance of the customer and end user, and that we go the extra mile to provide excellent customer service. At CCL we value and encourage working as a team. The site was unusual in that it was a long way from home base. This often meant early starts and late finishes to get things done. Plenty of smart thinking was needed to ensure we had everything we needed on site as we couldn’t just “drive to the yard” to pick something up. The isolated nature of the site meant that we were self reliant and confident in what we were doing. We have excellent relationships with industry and our suppliers. A good new relationship that was formed was with Timbertanks who were our subcontractor. They were responsible for the installation of the timber tank and we partnered with them to achieve a successful end result. CCL completed the majority of the work. We maintained good relationships with our subcontractors and inducted them into our H&S and Quality Plans. Subcontractors that were used for excavation (Premier Siteworks), installation of the Reservoir (Timbertanks Limited), Tree Removal (Coastal Tree Services) and electrical installation of water pumping station (Max Tarr Electrical). All four subcontractors work was supervised by Dayle Scrimshaw. We hold regular training sessions every week on a Thursday morning for all staff to get together for “Smarten Up” training. Here we go over levels, measure ups, how to check off materials, how to use plant and equipment, how to plaster manholes etc. “Smarten Up” has been going for approximately two years now with great success. Recently from this training we have identified six staff members who have just signed up for their drainage tickets. Continued on the job training included HDPE pipe welding, the use of pipe lasers, working out levels, dewatering, setting out, machine and plant operation, constructing manholes etc. All staff members on site are encouraged to be involved in hazard identification and then applying controls used to manage the risks. Experienced staff members then supervised the safe use of plant and equipment, trench entry and confined space entry. We operated a site specific Health and Safety plan for this project and had daily Toolbox meetings and weekly site safety audits. We inducted our subcontractors into our site specific plan. There were no health and safety issues, accidents or near misses. We operated a site specific Environmental Management Plan for this project. We inducted our subcontractors into our site specific plan. We were audited frequently for compliance and had no environmental management issues identified. We maintained good relationships with nearby residents and did our best to minimize the effects of construction on them. We did our best to always maintain local access to walking tracks. As with all CCL sites, information signs were posted to inform the general public about the job. A letter drop was completed for the immediate properties affected by the works. Stakeholder relationships were maintained by good communication, face to face meetings and a commitment to partnering. DOC can be difficult stakeholders to satisfy but we managed to keep them happy. We also encountered many walkers using the tracks and did our best to maintain access. We believe all stakeholders were satisfied by CCLs performance in this contract. The plans provided only gave a basic outline of the work. The final design had to be designed and approved before work could be carried out. CCL completed the pumping station design, ABuild the design of the timber retaining wall and Timbertanks designed the timber tanks. CCL were responsible for putting everything together to make a coherent project which was a good test of our project management capability. Hazards encountered on site included walkers using track, excavations, lifting and placing of new pipe, working with machinery, noise, cutting, grinding, compliance with resource consent, protection of native flora and fauna, manual lifting and carrying, and confined space entry. We managed these risks through the use of our generic Risk Register and good old fashioned common sense. The contract period was 18 weeks. We managed the risks of liquidated damages by good project management and sticking to programme. There was a delay in obtaining a building consent but we managed to work our way through this. The main risks in the contract conditions were that the agreement was a design-build contract with plans showing only a basic outline of the work. The contract risks were all borne by the contractor so we were aware of all these risks (and managed them successfully) at the time of tendering. While we are experienced at most types of civil, drainage and water construction, installing a timber reservoir was new for us. We managed this risk by engaging an experienced subcontractor for the install and we watched and learned from the experience. 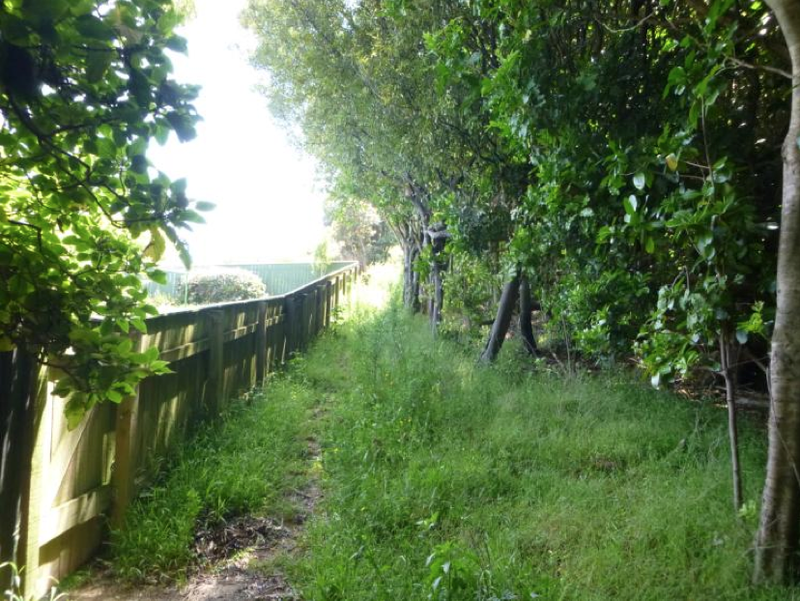 The main risks here were the stringent resource consent conditions for working on an Eco Site and dealing with the Department of Conservation as the land owners. We successfully managed these risks by good communication with DOC/KCDC and following our approved Environmental Management plan. We believe we managed our stakeholder risks well during this project. This was a difficult project requiring skilled planning and hard work and was completed to a high standard. We maintained a good relationship with KCDC and received great feedback. We maintained a good working relationship with the Consultants MWH during the project. The job was completed on time, on budget, to the customers’ satisfaction, with no accidents, no rework, yes a quality job! The finished overall appearance is to a high standard. The new Reservoir and Water Pumping Station blend into the surrounding environment. We believe all parties were satisfied with the result of this contract including our subcontractors. This was truly a “win-win” project. An Access track had to be formed and metalled to provide access to site. The access track needed to be kept as small as possible which resulted in size restrictions of machinery that could be used on site. Design and construction of 200m3 Reservoir and retaining wall which is located in conservation land had strict conditions as to minimize the effect on the surrounding environment. The design included a geotechnical report to confirm that the ground was suitable for the construction of the Reservoir. The report confirmed the need to excavate approximately 200M3 of the existing ground under and around the new Reservoir. Also 90m3 of hardfill was required to bring the base up to a suitable foundation for the Reservoir. All of the excavation and backfill had to be carried out with a 3.5 Ton excavator and motorized barrows to minimize the size of the access track. The timber retaining wall was constructed to retain the surrounding ground and to deflect any water to the gully in the event of a rapture of the Reservoir. The Reservoir was a Timber tank supplied and installed by Timbertanks Limited. All of the materials had to be carted in by motorized barrow. The Reservoir had to be constructed manually with the aid of a portable scaffold. New pipe work was installed under the Reservoir to existing pipe work. After the construction of the Reservoir the Reservoir was checked for leaks. Unfortunately there were some issues with leaking. The Reservoir then was drained and new gaskets were installed onto the flanges entering the Reservoir. The Reservoir was chlorinated then, De-chlorinated, drained, refilled and tested. The Reservoir was then connected to the water supply. The new Water Pumping Station was designed by CCL. The new pipework was installed for the suction and delivery lines for the pumps. These lines were connected to the water supply with temporary lines connected to the existing pump station. An Alpha Precast was manufactured and then delivered to site. The shed was then installed with the use of a 25 Ton Crane. The Grundfos pump set was then installed inside the shed. The electrical installation for the shed was then carried out. The new pumps were then connected to the water supply. Various checks were made to confirm that the pumps performance was suitable for the application. We carefully matched our plant to the requirements of the site, particularly to the stringent environmental conditions. We used several diggers ranging from 1.5 through to 8.5 ton, motorized barrows, compaction equipment, pumps, testing equipment and all other plant and equipment required to complete the work. We had one construction team working on the project. The work consisted of site works, pipework and civil construction work. Dayle Scrimshaw completed the contract management and was on site as required to supervise and coordinate the work. It was a challenge to efficiently programme the works given the constraints of the site. For example, the use of motorized barrows is not the most efficient way to remove spoil but was a requirement due to “Eco Site” conditions of the resource consent. These factors were taken into account when preparing the construction programme. We were able to maintain the desired construction efficiency and the work was completed on time. It was a challenge to renew a Reservoir and water Pumping Station while maintaining water supply to residents. This involved removing existing storage tanks and using a variety of temporary pumping connections to maintain water supply. The whole Reservoir changeover was completed without a water shut down. The use of ductile iron and tyton loc rings to allow for a restrained flexible method for the pipework to enter the pump station. Many different skills were used including Site work, pipework and civil construction work, temporary access, silt protection, working within streams, manual labour, liaison with residents, landscaping, protection of structures and property, confined space entry, building, concreting, locating of services, trench backfilling and all associated work to complete the contract works. practical measures to meet resource consent conditions. We took particular care so that our activities did not create a pollution hazard. All plant and equipment was regularly cleaned and checked for leaks. Silt protection was used throughout the project and closely monitored by Kapiti Coast District council. All conditions of the Kapiti District Council resource consent were strictly complied with and a complete report filed at the completion of works. All staff used their personal protective equipment, ear muffs, glasses, gloves, hard hats, wet weather gear throughout the contract works. While this contract proved challenging, all testing required under the contract specifications was successfully completed with all tests passed.